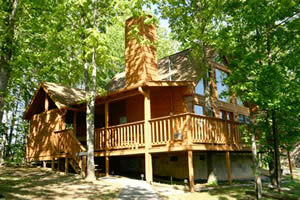 Retreats & Cabins - available for rent. Click the links below for details and photos. Gatlinburg TN is a popular vacation spot due to its seclusion and beauty of the Smokey Mountains. Surrounded by high ridges rising up on all sides, our Gatlinburg Cabin provide you with privacy, allowing you to fully enjoy the majestic beauty of nature. Cabin rentals offer top of the line amenities including hot tub, pool table and game table, internet facilities, and an extensive range of entertainment. For example, our cabin are around the bend from Dollywood! Lake Havasu City AZ is a beautiful desert property that provides the quiet serenity of desert life and the fun of out door activities such as motorcycle riding, desert trail riding, and water and boating activities on the lake. 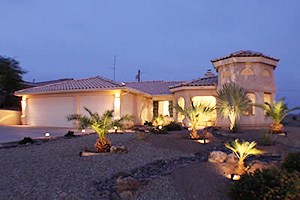 The house is equipped with an outdoor BBQ and pool and many other amenities in this three bedroom oasis. Lake Havasu is also just over four hours from the Grand Canyon.